- Color: mainly brown white. - Material: durable soft satin and ribbon. - Pillow size: about 15*15cm. 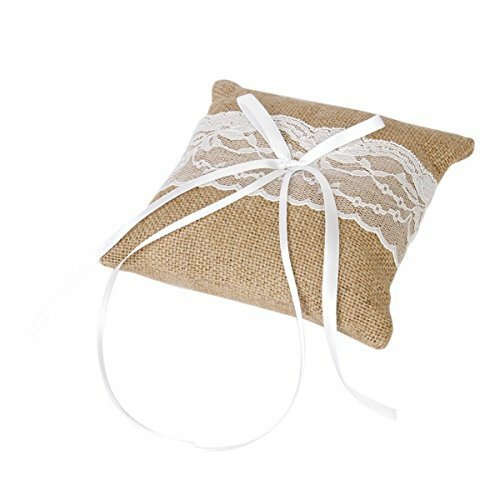 - White ring pillow decorated with satin ribbon to tie the ring. - Come with a strap at back for ring bearer /page boy to hold. - Compact size and light weight for easy to carry. 100% Brand new and high quality. Brand: TINKSKY. Color: mainly brown white. Material: durable soft satin and ribbon. White ring pillow decorated with satin ribbons to tie the ring.